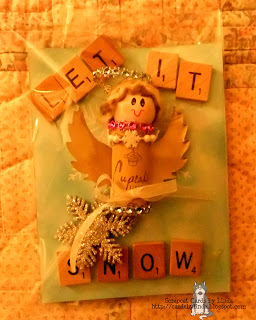 This month the swap for the wine lovers group at Your Paper Pantry is to make an ornament using cork and the word snow. Here is a picture of my ornament. This is how I have it packaged up. Here is a short video of how I made her. 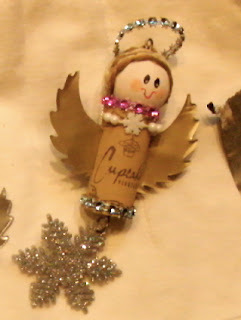 What a great ornament Linda - love the use of the cork - a great xmas decoration!!! OMYGOSH!! I have a ton of CORKS that a friend gave me... I am so pinning this so I can make some too!! You are sooooooooooooooo inspiring! I just loveeeeeeeeeeeeee this idea!!!!! That little ornament is ADORABLE!!!! Love it. Enjoy your weekend my friend. Such a cute ornament, and I love those scrabble tiles! Wowzer Linda this is awesome I love how you have created this fabulous little gift, you are so talented, sorry if I keep repeating myself, lol, keep up this brilliant work.